The Court of Arbitration for Sport has rejected an International Olympic Committee (IOC) decision to bar 28 Russian athletes from Olympic competition. The IOC had ruled against the athletes for violating its anti-doping rules at the 2014 Winter Olympics in Sochi. Doping means using a drug or other substance illegally to improve an athlete's performance. The court expressed support for appeals by the 28 Russians Thursday. It overturned the IOC sanctions against them and ruled that their individual results from the 2014 games should not be cancelled. The IOC said it had taken note of the court's decision "with satisfaction on the one hand and disappointment on the other." It also said the decision may have a serious effect on the future fight against doping. 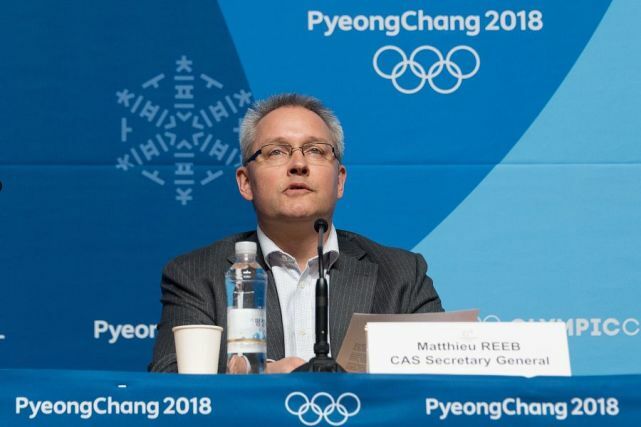 The Associated Press reported that the 28 who had their bans lifted could now seek late entry to the winter Olympics in PyeongChang, South Korea. But the IOC said after the decision that the athletes who won their appeals would not be invited to the games, which open next week. Russian Deputy Prime Minister Vitaly Mutko said the government would support further legal action so that the athletes affected by the decision could compete in PyeongChang. It was not immediately clear how many of the 28 Russians would now seek to compete. Some have already retired from competitive sports. The Court of Arbitration for Sport (CAS) also ruled on 11 other Russian athletes who had appealed their sanctions. An IOC committee had found them guilty of doping and ordered lifetime bans. But the court reduced the punishment to a ban only from the South Korean games. Two CAS judging panels heard 39 appeal cases last week in Geneva, Switzerland. The two groups did not give detailed reasons when they announced the decision on Thursday. The 11 athletes whose appeals were rejected came from men's bobsled, women's cross-country skiing and women's hockey. They had been found guilty of armed robbery. Animals switching food sources can have a very serious effect on the environment. The medical community continues to make progress in the fight against cancer. "All those athletes infringing anti-doping rules will be banned from competing at the Olympic Games, " the IOC said in a statement on its website. 5.The IOC said it had taken note of the court's decision "with satisfaction on the one hand and disappointment on the other." The Committee has taken note of objections. I don't know whether you have taken note of these developments. 6.The IOC had ruled against the athletes for violating its anti-doping rules at the 2014 Winter Olympics in Sochi. The committee ruled against all-night opening mainly on safety grounds. The Supreme Court ruled against the government.